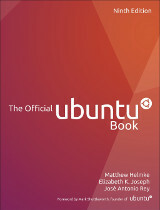 Somewhere around 2010 I started getting involved with the Ubuntu News Team. My early involvement was limited to the Ubuntu Fridge team, where I would help post announcements from various teams, including the Ubuntu Community Council that I was part of. With Amber Graner at the helm of the Ubuntu Weekly Newsletter (UWN) I focused my energy elsewhere since I knew how much work the UWN editor position was at the time. At the end of 2010 Amber stepped down from the team to pursue other interests, and with no one to fill her giant shoes the team entered a five month period of no newsletters. Finally in June, after being contacted numerous times about the fate of the newsletter, I worked with Nathan Handler to revive it so we could release issue 220. Our first job was to do an analysis of the newsletter as a whole. What was valuable about the newsletter and what could we do away with to save time? What could we automate? We decided to make some changes to reduce the amount of manual work put into it. To this end, we ceased to include monthly reports inline and started linking to rather than sharing inline the upcoming meeting and event details in the newsletter itself. There was also a considerable amount of automation done thanks to Nathan’s work on scripts. No more would we be generating any of the release formats by hand, they’d all be generated with a single command, ready to be cut and pasted. Release time every week went from over two hours to about 20 minutes in the hands of an experienced editor. Our next editor would have considerably less work than those who came before them. From then on I’d say I’ve been pretty heavily involved. 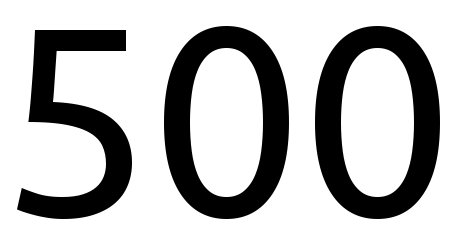 The 500th issue lands on February 27th, this is an exceptional milestone for the team and the Ubuntu community. It is deserving of celebration, and we’ve worked behind the scenes to arrange a contest and a simple way for folks to say “thanks” to the team. We’ve also reached out to a handful of major players in the community to tell us what they get from the newsletter. With the landing of this issue, I will have been involved with over 280 issues over 8 years. Almost every week in that time (I did skip a couple weeks for my honeymoon!) 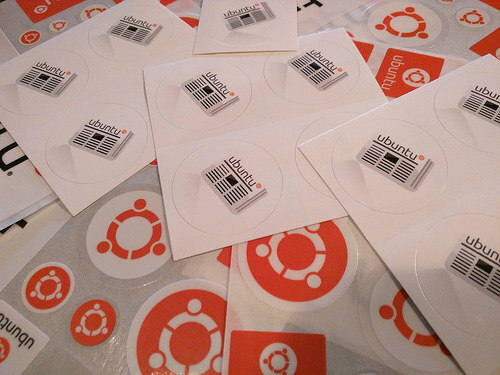 I’ve worked to collect Ubuntu news from around the community and internet, prepare it for our team of summary writers, move content to the wiki for our editors, and spend time on Monday doing the release. Over these years I’ve worked with several great contributors to keep the team going, rewarding contributors with all the thanks I could muster and even a run of UWN stickers specifically made for contributors. I’ve met and worked with some great people during this time, and I’m incredibly proud of what we’ve accomplished over these years and the quality we’ve been able to maintain with article selection and timely releases. But all good things must come to an end. Several months ago as I was working on finding the next step in my career with a new position, I realized how much my life and the world of open source had changed since I first started working on the newsletter. Today there are considerable demands on my time, and while I hung on to the newsletter, I realized that I was letting other exciting projects and volunteer opportunities pass me by. At the end of October I sent a private email to several of the key contributors letting them know I’d conclude my participation with issue 500. That didn’t quite happen, but I am looking to actively wind down my participation starting with this issue and hope that others in the community can pick up where I’m leaving off. I’ll still be around the community, largely focusing my efforts on Xubuntu directly. Folks can reach out to me as they need help moving forward, but the awesome UWN team will need more contributors. Contributors collect news, write summaries and do editing, you can learn more about joining here. If you have questions about contributing, you can join #ubuntu-news on freenode and say hello or drop an email to our team mailing list (public archives). This entry was posted on Friday, February 24th, 2017 at 6:57 pm and is filed under tech, ubuntu planet. You can follow any responses to this entry through the RSS 2.0 feed. Both comments and pings are currently closed. thank you for work all this time. It is really appreciated. I’m sorry I couldn’t contribute more, but between school and Ask Ubuntu I could never find the time. As someone who has contributed to around half the number that you have I think I can definitely say that you will be missed. I know that you’ve worked on the newsletter from the most unusual places and at very unusual times. Thanks for everything that you’ve done for me, UWN and the wider Ubuntu community. Thanks for all your positive work and help. You are an inspiration for others to get involved. As always, thanks for your service and inspiration. Thanks so much for your tireless work, you are just amazing! Entries (RSS) and Comments (RSS). 24 queries. 0.087 seconds.